BOARDMAN – A Mass of Christian Burial will be held at 10:00 AM on Saturday, March 30, 2019 at St. Charles Borromeo Church, with Fr. Philip Rogers celebrating for Marcella Innocenzi, 72, who passed away peacefully surrounded by her family on March 25, 2019. Marcella was born August 21, 1946 in Youngstown, a daughter of the late John and Carmelena Fiordelise Vecchione. She was a 1964 graduate of Cardinal Mooney High School. Marcella devoted most of her time working the family businesses Mahoning Valley Mushroom Farms and United Canning Corp. She eventually became the President/Owner of these businesses and her devoted husband Richard oversaw the canning operation. She excelled in the business world and has been published in various agricultural publications. Her crowning business achievement was being recognized as one of most successful Italian American business women in a book. Marcella was a member of St. Charles Church for decades. She enjoyed playing any kind of slot machine and owned a casino grade one in her living room. She was a fan of travelling to Florida to see her brother and family and was excited when they announced a casino was being built there. Her lifelong love of her life, husband Richard was her rock. They spent almost 50 years together full of love and adventure working side by side. She was a true angel with a huge heart that was overfilled with grace and compassion for others. She surrounded herself with her grandchildren, all boys, and her nieces and nephews. She was very selfless as she would put others above herself all the time. She was always available for her guidance and helped mold dozens of people that she came in contact with. She was extremely loyal and rigid to the point that she only purchased new Pontiac automobiles every couple years for a couple decades. Her generosity would extend so far that she frequently gave away expensive items to help anyone as best she could. She was very proud to be of Italian American heritage and frequently reminded people of this fact. She indulged in Italian cuisine often and loved her local pizzerias and seafood restaurants. She especially enjoyed growing up and retiring in Boardman and turned down numerous opportunities to retire elsewhere. She was blunt, humorous, witty, shrewd, extremely loving and was the life of any party. Even as multiple sclerosis forced her into a wheelchair in her later part of her life, she stayed positive and kept herself involved in influencing and helping her family members. Marcella leaves behind to cherish her memories, her beloved husband and devoted caretaker, Richard Innocenzi, whom she married November 27, 1974, her children, Dr. Anthony Innocenzi and Carmelena (Chris) Fleet, both of Boardman, her grandchildren, Caden Fleet, Christopher Fleet, Luca Mario Innocenzi, and Cole Marcello Fleet, her sister, Sarah (William) Hill of Poland, a sister-in-law, Jill Vecchione of Boca Raton, FL, several cousins, including Tom Scarney who was like another brother to her, as well as many nieces, nephews, and extended family. Other than her parents, she was preceded in death by a son, John Richard Innocenzi, and her brother Eddie Vecchione. 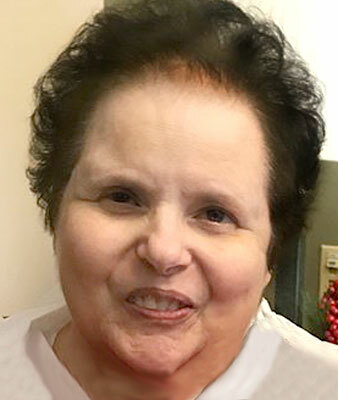 The family has entrusted Marcella’s care to the Kubina Yuhasz Wasko Funeral Home, where they will receive friends from 5:00 PM to 7:00 PM on Friday, March 29, 2019 and again one hour prior to the mass at the church on Saturday. Interment will take place at Calvary Cemetery. Please visit www.waskofamily.com to view the obituary and send the family condolences.